In 1989 I recall a local record store put up a rack of records and cassettes with a big sign above it describing the selection with one word. ALTERNATIVE. I was fascinated by it, and I was also excited to find that there were many albums in this display from bands that I listened to or had heard of but had never yet seen any of their albums in person. Half of the cassettes on this rack had big round “IMPORT” stickers on them, and their price tags ranged from $18 to almost $30 per tape. On this rack were the early Soundgarden albums (Screaming Life, Ultramage OK) as well as Jane’s Addiction, pre-radio success Red Hot Chili Peppers, Mudhoney, Killing Joke, Misfits, Bad Religion, and a pile of newer bands that would later be tagged as “punk” in the 90’s explosion of commercialized indie rock that was yet to come. This was the alternative to the rest of the world’s musical mainstream. Collecting it was an expensive habit in Canada, especially considering in the 80’s and well into the 90’s the only way to obtain many albums released by smaller labels in was by mail order or getting lucky at a local record shop and then paying the hefty price tag. One of those import albums I got around that time was a dirty sounding recording by a very charming group whose songs were bitter tales of exclusion and failure. In the liner notes it even noted that the album cost $400 to record. 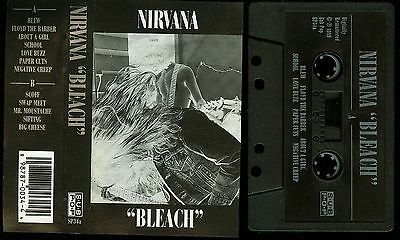 It was called “Bleach” and the band was called Nirvana. I was sure at the time that this sort of band was the purest and most definitive form of alternative music in existence. ….and within just a few years “alternative” was no longer just a word used to describe “that which is not accepted by mainstream audiences”… . it had somehow become a musical style. And the appropriation of the word was the most commercially successful strategy the music industry had every performed. It was also the LAST commercially successful strategy the music industry ever performed. If music can be “alternative”… then it goes without saying it should be expected to be another option, something DIFFERENT, a possibility other than what is the most common. From the principles of the independent alternative music community came the seeds of discontent that armed the public in a war that would see the downfall of big music industry. The rise of indie labels had begun, starting with Nirvana’s original home, Sub Pop, and followed by a dozen other smaller companies that were all slowly absorbed by one of the four major label entities. Then the atomic bomb dropped when Napster went online in the early 21st century, and the music industry changed forever. But I’m not writing this to rehash the story of how the music industry broke, because that’s not what this is about. This is about the loss of a term that thousands of musicians worldwide once identified with. Over the years I had always been extremely hesitant to use the word “alternative” in connection with The New Jacobin Club until we visited the United Kingdom for a two week tour in the summer of 2016 and one brief encounter changed my mind about the word. We play music that has been compared to heavy metal. Yet within the metal community there exists a great divide between that which is commercial and that which is underground. We have been called punk. Yet there are indeed bands that have called themselves punk that have become household names and sell out arenas. 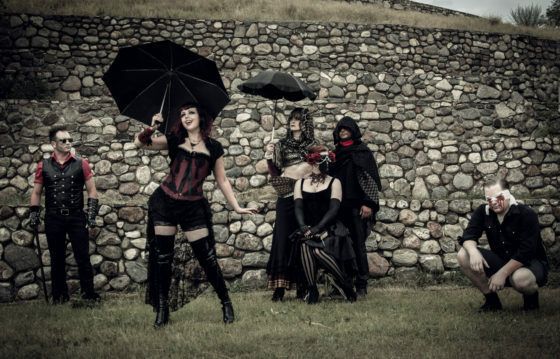 We have been called goth, steampunk, art rock, shock rock, and the list goes on. And yet there are examples of all these subgenres that are commercially successful. The others that are not are the alternative to the standard. And more often than not, it is these groups who go against the grain that are initially met with resistance and hostility from within as the community fights to resist change and maintain it’s purity. It is clear why over the years the elitists of a particular subculture or art/music scene turn their noses up at anything deviant. They do not want an alternative. They want a standard. And they want to BE that standard. And that’s just too bad.So why are there so many groundbreaking superstars that are still identified as alternative when they rule mainstream music? Does not one cease to be underground once one becomes a household name? Does not one cease to be alternative once the music you are creating is the STANDARD? This is what went through my head in a flash of realization and understanding when a particularly wonderfully dressed (dare I say…alternative?) fan at one of our concerts during our UK tour came up to me and told me she was a proud and active supporter of the alternative music community, and had been for decades. DECADES. She was identifying the New Jacobin Club (us!!) as alternative. It was a word I had NEVER once used to describe what we do. But after my moment of epiphany I realized how right she was. After all, we wear makeup and corsets and goggles and masks. We breath fire, dance with swords, hammer nails into our heads and smash cinderblocks on our chests. We write music with electric cello, theremin and strange guitar sounds. We sing about eldritch Lovecraftian beings, 19th century Hellfire clubs, and supernatural characters from classic literature. We currently do all this without the aid of a record label, and are self managed. We answer directly to our fans, and there is nobody packaging what we do for commercial consumption. We are an alternative to the standard. 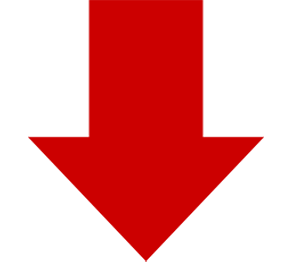 Ladies and gentlemen, we are The New Jacobin Club. ***LEAVE US A MESSAGE! **** What truly makes something alternative? Do you agree with the notion that it is a style of music? Or does it sound like the Horde is just really grumpy again and feels like taking it out on people who like the Soundgarden?